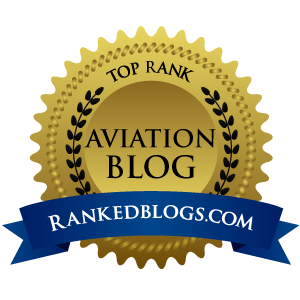 Anyone who reads my blog knows about the battle we pilots wage, taking on Bush, the FAA, Big Airlines and the ATA in the cage fight of our lives. What is at stake is huge...user fees, but also the very future of GA as we know it. 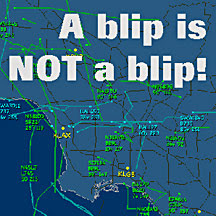 I am one that believes like most GA and business pilots that if we were to lose this fight and let Bush's Big Airlines cronies win by imposing user fees on any segment of aviation, it is only a matter of time before a student pilot in Bakersfield will have to drop a check in the mail to O.K. City just to shoot a VFR practice landing. If you think that is crazy talk, you need look no further then Europe to see how bad it can get under a user fee scheme. Appearing before a subcommittee of the Senate Finance Committee July 19, Delta Airlines COO James Whitehurst, speaking for the Air Transport Association (ATA, which represents most of the nation's airlines), proposed a new ticket tax that would include a fixed departure tax per passenger, plus a per passenger tax based on distance traveled. "It's not a user fee," Whitehurst said. It was a startling turnaround. The airlines abandoned their demand for user fees, and their "blip is a blip" contention that all aircraft impose the same costs on the air traffic control system, during a hearing. All that was left was their demand that they pay less and general aviation pay more. Whoa. This is a HUGE abandonment of their “[the] horrible delays our passengers are experiencing are all GA's fault” garbage that they've been shoving down the public's throat in seatback rags and spam emails to frequent flyers. Eclipse Aviation CEO Vern Raburn told the subcommittee, "It is precisely the [airline] hub-and-spoke system that drives the majority of system costs, not the introduction of very light jets.... A triple-seven on approach to JFK takes up a heck of a lot more airspace than an Eclipse 500 on approach to Republic Airport 15 miles away." 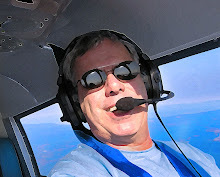 CBS "The Early Show" weatherman Dave Price will be broadcasting live from the World's Greatest Aviation Celebration on Wednesday morning, July 25, and the producers of the show are inviting EAAers on the grounds to be a part of the action. With the mob mentality of todays mainstream media, I predict the other big networks – along with everyone from Entertainment Tonight to the Oxygen Channel – will not take being upstaged by CBS, and will send their flock of satellite trucks to Wittman Regional Airport next week as if Paris Hilton and Britney Spears were seen mud wrestling out behind the Theater in the Woods. And When Matt Lauer, Brian Williams, Katie Couric, Mary Hart, Oprah – and yes, even Rachel Ray – descend on Aeroshell Square, it is my hope that Boyer and Bolen are the talking heads that they corner for the sound bite. When that happens, the nation will finally understand how dishonest Big Airlines have been lately.